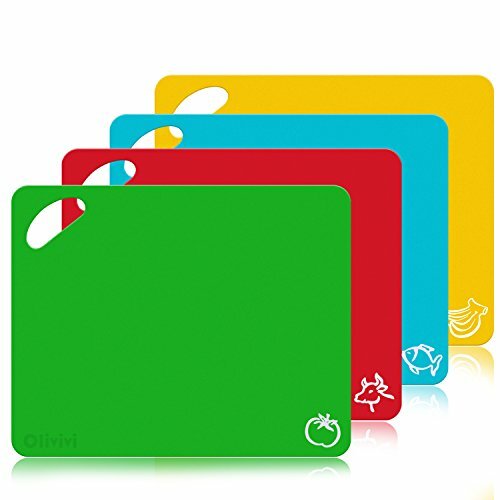 Score a GREAT DEAL on the Extra Thick Flexible Plastic Kitchen Cutting Board Mats Set, Set of 4 Colored Mats With Food Icons & Easy-Grip Handles, BPA-Free, Non-Porous, Dishwasher Safe By Olivivi today for only $6.49 when you use the code DW5PJNCW from Amazon! You will get FREE Shipping if you are a Prime member! If you are not an Amazon Prime member you can grab a FREE 30-Day Trial HERE! Get the all the Details of this deal below! 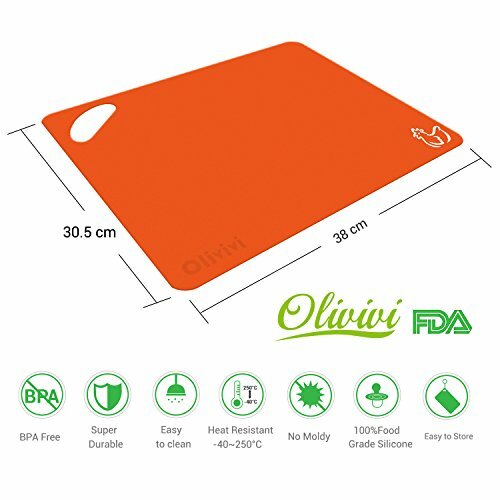 Olivivi Extra Thick Flexible Plastic Cutting Board Mats (Set Of 4) – Perfect for all your kitchen needs. Still using your old & worn, cut up cutting mats? Most experts recommend replacing plastic mats every two years. When a sponge or dishcloth snags on the board, or your knife skips over deep cuts, it’s time for a new one. Your family’s health is too important! – The crosshatched back keeps our mats in place and prevents slipping on your counter-tops. Specifically designed not to dull the edge of a knife, also ease transferring their contents to a cooking or storage vessel. – Our mats are color coded for different food groups to help Preventing cross contamination or to help your family keep kosher. The colors are Blue for fish, red for meats, yellow for poultry, green for vegetables. – Ease transferring contents to a cooking or storage vessel. Our lightweight flexible cutting mats are sized 12 X 15, very easy to curl to help transport food directly into a bowl or pot. – These mats are BPA free & dishwasher safe. Unlike wood, plastic boards do allow rinsing with harsher cleaning chemicals such as bleach and other disinfectants without damage to the board or retention of the chemicals to later contaminate food. 100% MONEY BACK GUARANTEE: We will Refund Every Penny (or Replace It, if there is s problem). Previous Post: CVS Hot Deals List for 9-16 to 9-22-18 ~ FULL BREAKDOWNS! Next Post: Pepsi 12 Packs Only $2.33 each with Walmart Deal!